Federico Longas was born in Barcelona, Spain in 1893, and showed an aptitude to music, especially the piano. He started studying the piano at the age of six with Roberto Goberna. Three years later he started studies with Maestro Bellisimo in the Islas Baleares. Soon after he and his family moved back to Barcelona where he studied with the well-known Joaquin Malatz, who introduced him to Enrique Granados, who most influenced Federico Longas’s style of playing. In Zaragoza, in 1913, Longas gave his first concert along with the violinist Antonio Brosa (later the first violinist of the String Quartet of London). One year prior he had won the Grand Prize of Granados (which was a baby grand piano), the jury presided over by Eduardo Risler, President of the Paris Conservatory. Shortly afterwards Longas began concertizing in the Canary Islands and throughout Spain with the violinist Juan Manen, as well as with cellist Gaspar Cassado in Spain and France, including Paris. Longas concertized as accompanist for the singer Tito Schipa from 1919-1939 throughout Europe and the Americas. He also accompanied Cassado, Pablo Casals, Eugene Ysaye, Manen, Margarita Salvi (whom he married), Lili Pons, Manon Vallin, Conchita Badia, Galli Curci, Hild Reggiani, Bruna Castena, Bido Sayo, Tito Rufo, Chaliapine, Alcaide, Volpi, and Mirasou. 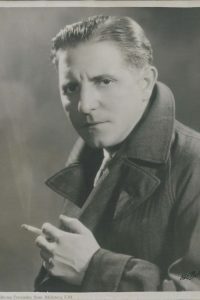 Longas was the Director of various theatres, such as Opera de Monte Carlo, Royal de la Monaie de Brussels, Opera de Vichy, and Opera de Melbourne. He was a collaborator in the translation from the French of the famous zarzuela, Dona Francisquita by Amadeo Vives. He later lived in New York City and Santiago, where he died in 1968.